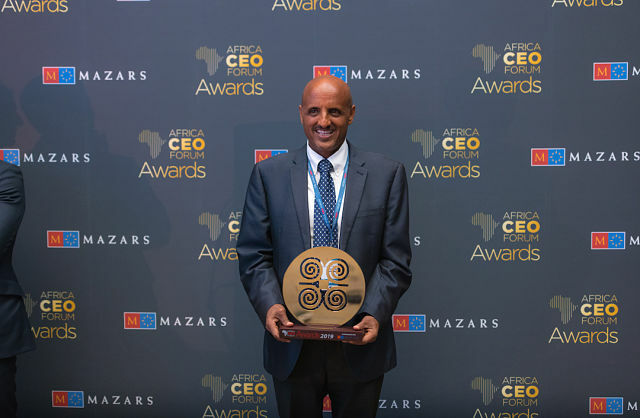 Ethiopian Airlines emerged as the ‘African Champion of the year‘ at the 7th edition of the Africa CEO Forum, which is taking place in Kigali from March 25, 2019. Ethiopian Airlines was awarded for their intra-african partnerships, reaching 40 countries on the continent, the Africa CEO Forum said in a statement. Ethiopian Airlines won the accolade of ‘African Champion of the year‘ at Africa CEO Forum Awards 2019 for their intra-african partnerships, reaching 40 countries on the continent. The award was received by the airline’s CEO, Tewolde Gebremariam. “I would like to start by thanking everyone who has supported us after the tragic accident that happened to us two weeks ago. We promise to keep up the good work for the good of the African continent,” Gebremariam said in his acceptance speech.